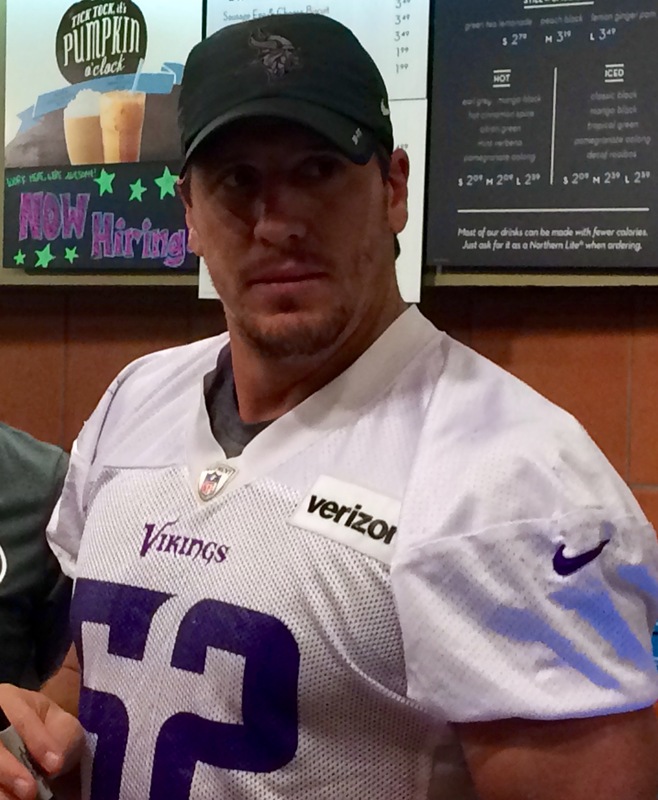 Here is an iFolloSports.com original photo of Vikings linebacker Chad Greenway serving drinks at a Twin Cities Caribou Coffee store. Greenway, now playing in his 10th NFL season, is the longest tenured Vikings player and remains one of the team’s most popular. For his career, the 2-time Pro Bowl selection has 1,002 combined tackles and 17 sacks. Thus far in 2015, Greenway has 10 combined tackles, 1.5 sacks and 1 INT. Vikings fans can also view several other behind the scenes stories featuring Greenway, over the past several years.